Lucy is a lab mix. She was estimated to have been born in May of 2015. She is very sweet and moderate to high energy dog. 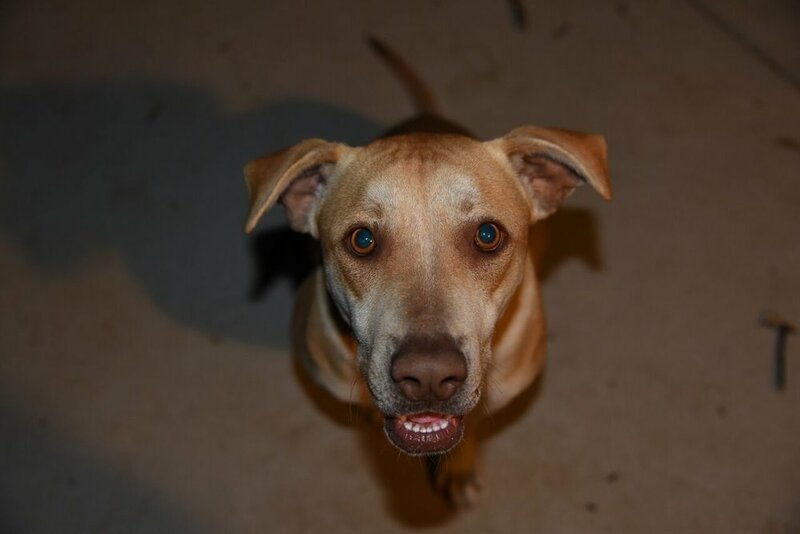 Would do best in an active household where she can go hiking, running and have lots of play time. She has done well with all dogs she has met. 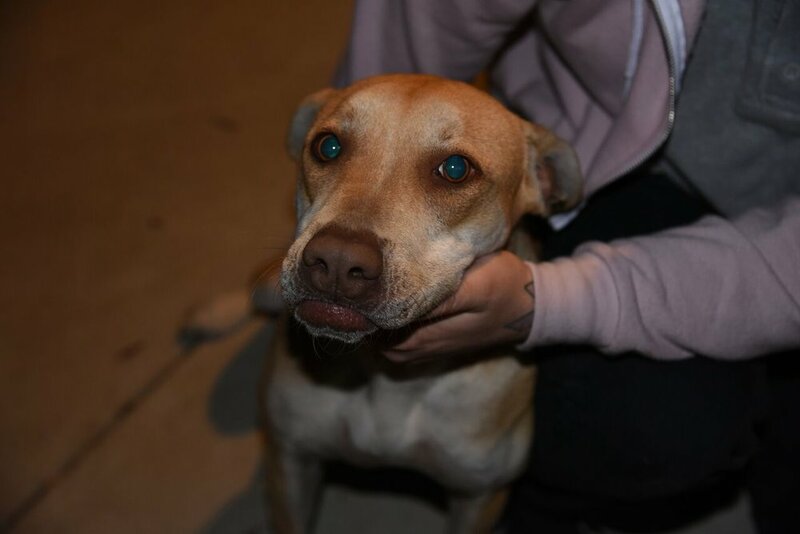 She was found as a stray in Compton. Someone left her tied to a firestation. 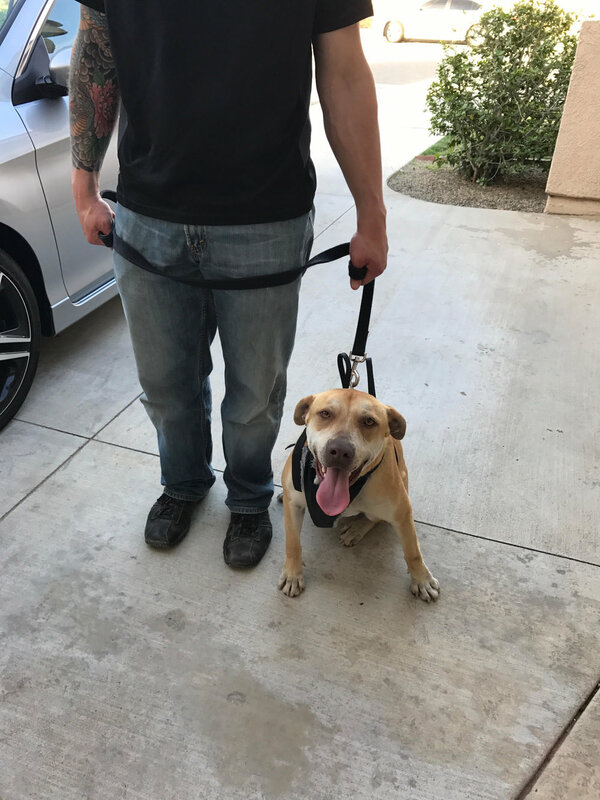 The firefighters didn't have the heart to take her to the animal shelter as they knew her chances of getting out where very small, so they reached out to us. No cats please. Good with kids and other dogs! 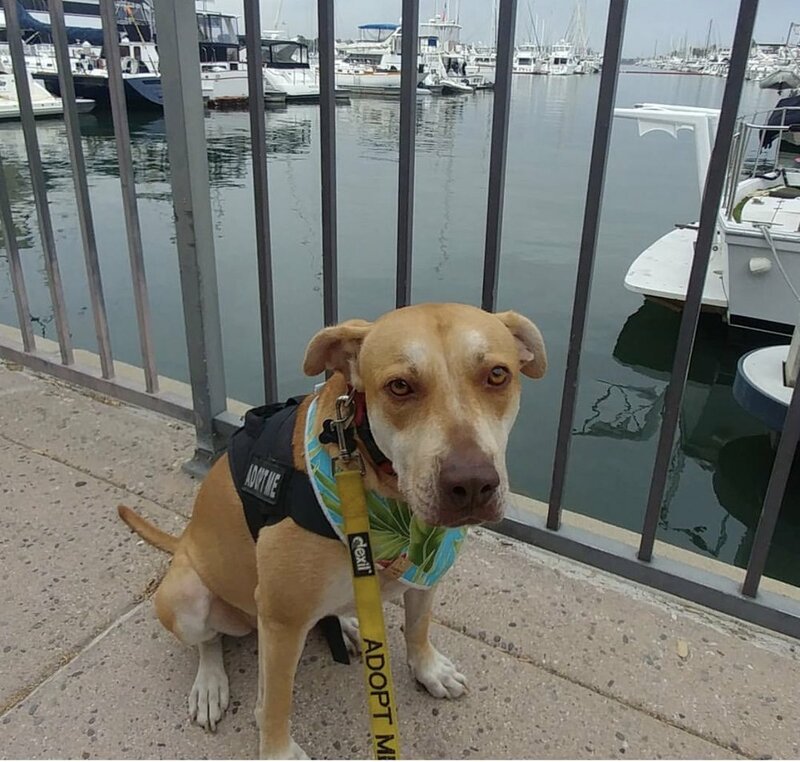 This is what a volunteer had to say about Lucy and her friend Petey: "Petey and Lucy both did so well on our walk today. 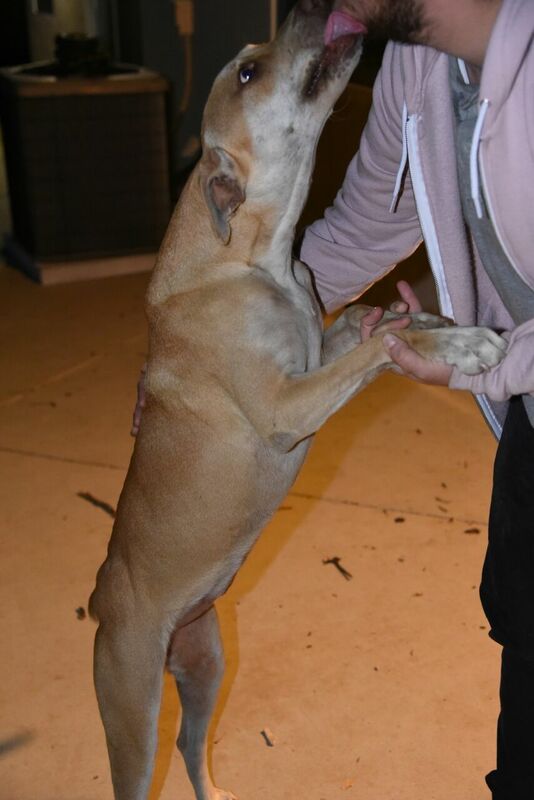 Petey is a gentle giant, does perfect on a leash, knows sit & stay, great with kids. Lucy also did well, she has a lot of energy at first but calmed down shortly after we started walking. Lucy also did great with Sky (my dog) & has lots of love to give. They're both so sweet. I am so glad to have met them. They both love each other so much too. When we'd walk, if Lucy and I got too far ahead she would stop and look back for Petey. They both love to give each other kisses." 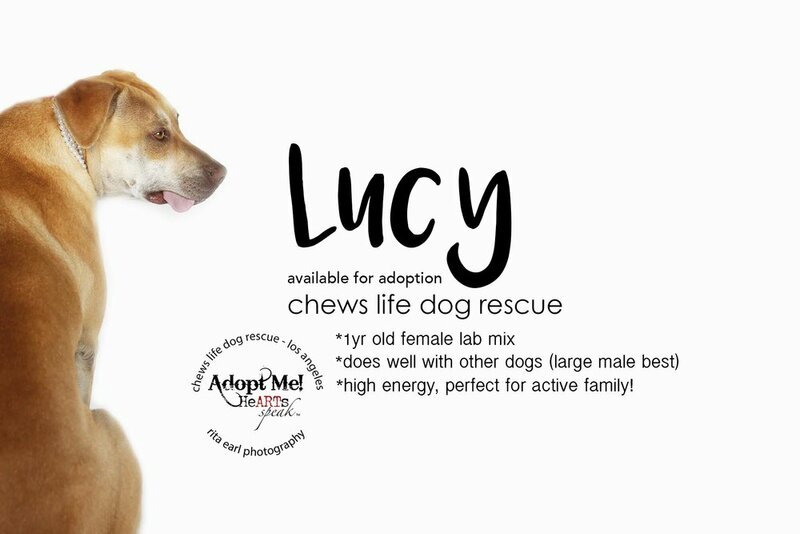 Lucy's current foster had this to say: "Lucy is an incredibly sweet dog that wants only to be loved by you. She is so gentle and has the kindest eyes. She has been doing really well with my dog who is a female puggle and is about 5 years old. Even though Lucy is only about two years old she is actually very calm most of the time. She is also great with my neighbor’s dog who is a small Yorkie mix. She absolutely loves going on walks. She loves to play and make friends anytime she sees other dogs. She seems to be great with kids as well. At first she was terrified of stairs but with some help from my dog she got used to them really quickly. She is potty trained and it would be best if she is walked about three times a day. She is also used to sleeping in her crate without making a fuss. She does love to stay close to where you are and loves being petted. She is so beautiful and loving and deserves the best home. Whoever gets Lucy would be a very lucky person."